It is week two of school for us – and we’re officially in the back-to-school routine! That means packing up a delicious lunch for our third-grader before she heads off to school. But our daughter is a very picky eater – which makes lunchtime a challenge. 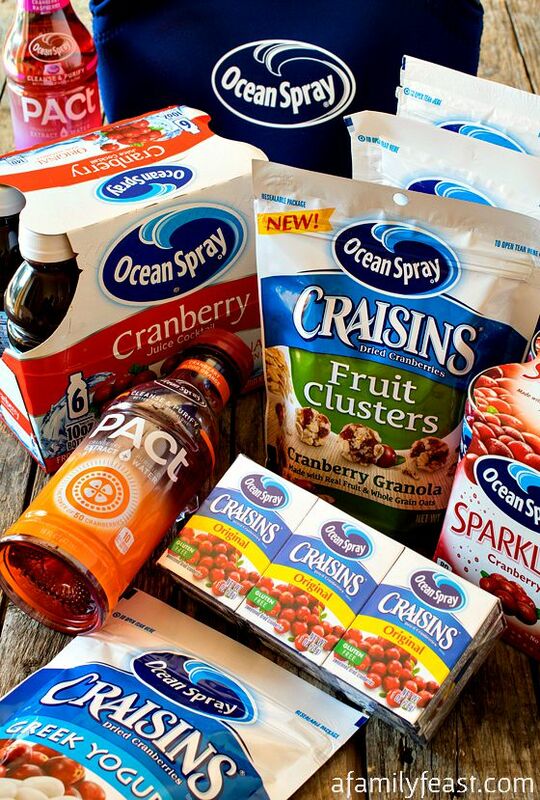 But thanks to Ocean Spray – the world’s leading producer of good for you cranberry juices, juice drinks and snacks – her lunchtime is a little sweeter and a lot more delicious and nutritious! Ocean Spray offers a variety of products with bold cranberry taste, vibrant color and endless variety – making it the perfect addition to any lunch box! From a delicious sip of sweet-crisp cranberry juice, to fun and flavorful Ocean Spray® Craisins ® Dried Cranberries, it’s the little things that can make all of us victorious over any lunchtime challenge! 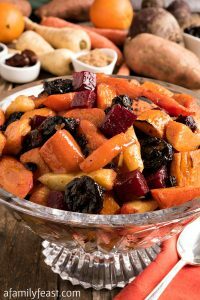 We do as much of the lunchtime prep as we can the night before – refrigerating the drinks, cutting up vegetables or fruit into kid-friendly servings, and making sandwiches. 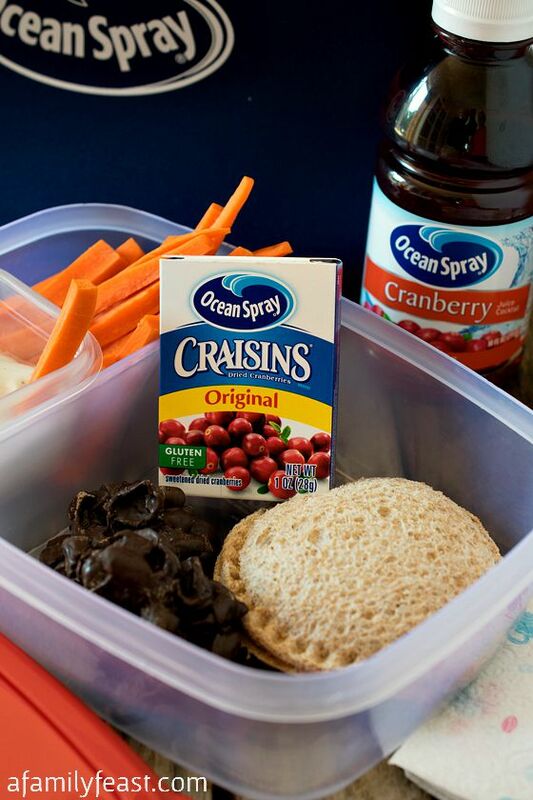 We also always have a supply of lunchbox-sized snacks like Ocean Spray® Craisins® Dried Cranberries that can be added to your family’s lunchboxes before they head out the door. Share YOUR best lunchbox tips and tricks on Twitter using the hashtag #LunchboxMaster. You’ll be entered to win an Ocean Spray® Ultimate Master Lunchbox Set. Contest September 18th, 2015. Visit OceanSpray.com for more contest information as well as inspiration to help you master the lunchbox! These Craisins® Pistachio Dark Chocolate Clusters are super easy to make and incredibly delicious! 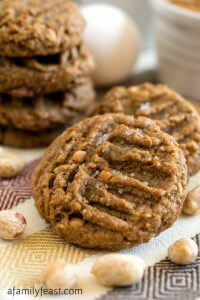 Prepare a cookie sheet by covering it with a piece of parchment or wax paper. 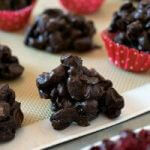 In the microwave or over a double boiler, melt the chocolate chips in a medium sized bowl. Pour the Craisins ® Dried Cranberries and the pistachios into the melted chocolate and stir until completely coated. Using two teaspoons, drop the mixture onto the cookie sheet in bite-size pieces. Allow to cool completely before eating. Store in a cool place. OMG, these look amazing! I could eat the whole batch. 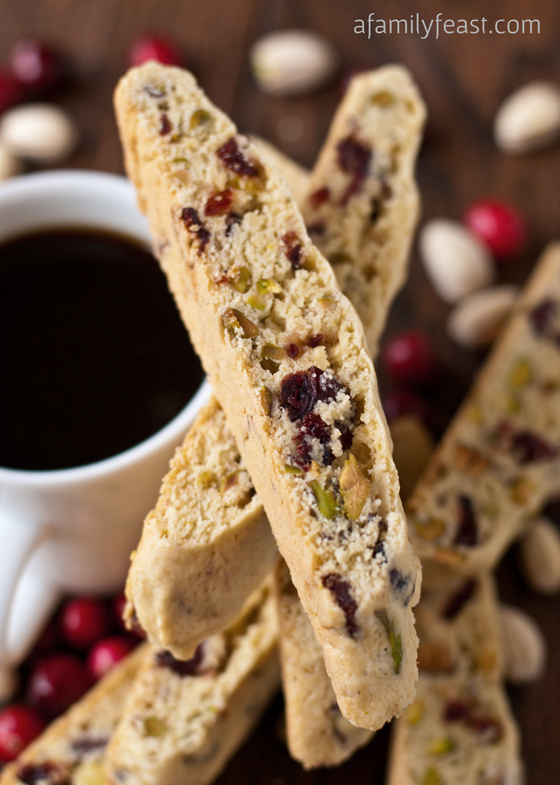 I love cranberries and pistachios together – they do make such a festive combination! Great candy idea! I love this fruity treat. There is nothing better than dark chocolate and fruit! 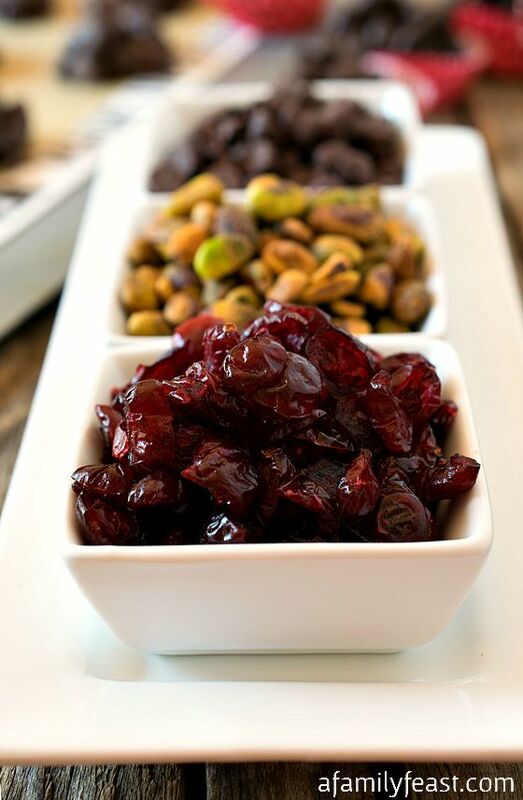 These are basically the perfect snack food – dark chocolate, craisins, and pistachios together are a perfect bite! I’m a lover of pistachios, these look like a great snack for the kids. I believe I could eat my weight in these tasty little clusters. hLunch time snack ideas has to be changed up after a while and craisins are something I forget to think about…I do love to bake with them. And these clusters are an even better way to make lunch more fun! 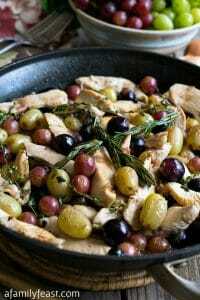 How funny that we both used dried cranberries and pistachios in our posts for today! Great minds and all that….? 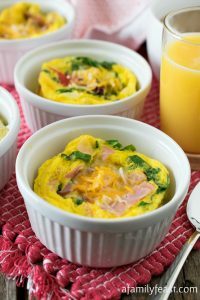 These may be intended for lunchbox snacks, but I’d have absolutely no problem at all serving them with coffee to guests after dinner! 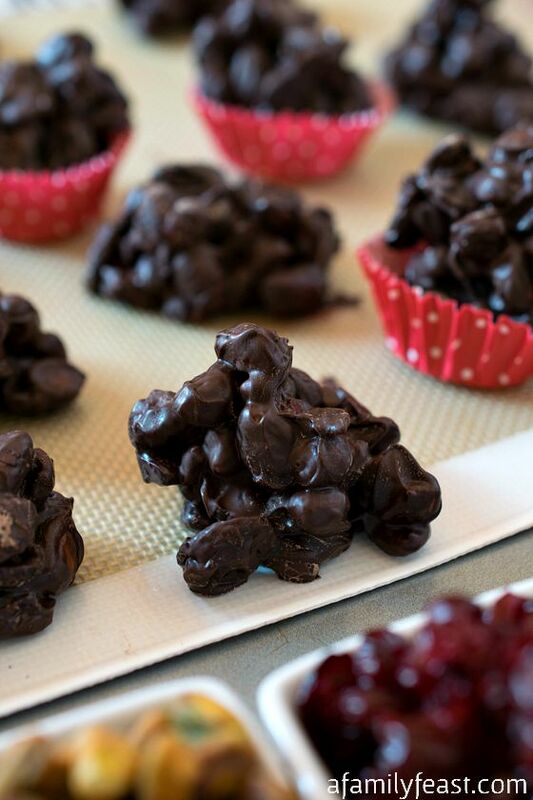 These dark chocolate clusters are the perfect snack for school days and work days too!